Waiting… Waiting… It’s so Dang Hard. We live in a fast pace world where waiting is not well tolerated. I’ve even felt guilty when asked, “what did you do today” and I was not able to come up with a long list of things that filled my time. Wow, how sad is that? I think many people view waiting as a waste of time. How dare we have 2-3 hours in a row where we can just BE. So, what does it really mean to wait, to wait on God? I think of it as following God’s promptings, and being present in each moment. The rub is, our culture and sadly many of our church cultures say do, do, do, that will show our success, our worth, and our significance. However, God says, Remain in Me, Rest in Me, Wait on Me, Trust Me, Listen for My voice, just BE you, that amazing person that I created. So how do we wait, follow God’s promptings, and stay in the present moment? In my last post I talked about letting go, being unattached. I think waiting, being present in each moment to follow God’s promptings is intertwined with letting go. Here’s a true story, simple yet pretty amazing to me. It was November of last year, I had been talking to God about direction, and to show me clearly what that was. Of course, I was thinking big things, like my career or moving overseas, or something outrageous. I was putting my box around it, defining what I though it might look like. So what do I hear? Crochet hats… Yep, you heard me right, crochet hats. I discounted it thinking it was just me trying to think of Christmas gift ideas. But the words kept coming back and oddly enough I was feeling really motivated to do it. The thought of going to the store and finding some fun yarn sounded exciting. Then the thoughts came, you know the ones… Thoughts like, you don’t know how to crochet hats, who are you going to give them to, no one you know really wears hats. You don’t have the money to buy yarn, you don’t have the time, etc, etc. Thank God, the feeling of excitement the motivation outweighed the thoughts. I wanted to crochet many hats, like 5 or 10. Again, thoughts ran across my mind, you are crazy, this is ridiculous to spend the time and money to crochet when you don’t even know why you are doing it. I thought, well half the time I feel crazy anyway, so why not go for it. I went and bought some yarn, now to figure out how to create a hat. I did know how to crochet, so that was a bonus. I met with a friend and told her what I was doing, my friends love that I’m a little off kilter. She said, oh I’ve been wanting to learn and my daughter knows how to crochet hats. Hmmm, who knew! 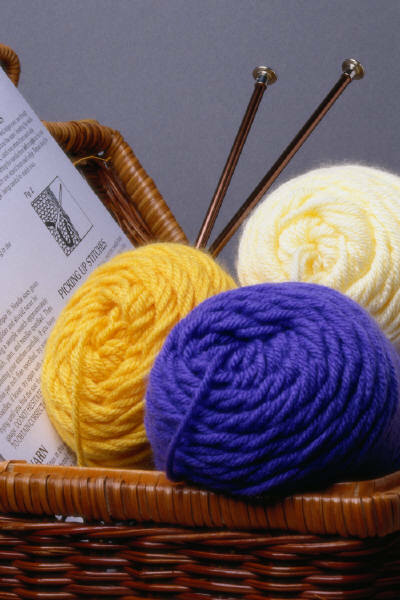 🙂 Another friend said, “I have some yarn I’ll give you!” I love it that God cares about the details. I had made about 4 hats, when I got an email from a friend (I’ll call her Trish for confidentiality sake) who is in China . She wanted to put together a gift set full of hats, scarves, blankets, for some of the students that she and her husband works with. I noticed that I had a familiar feeling inside (here comes the lesson in letting go/ being unattached again) of not really wanting the hats to go to beggars. I really wanted the students to have them. I started trying to figure out how I could get them there in time etc. I realized at that moment I was allowing myself to be attached, and I wasn’t staying in the present moment. I was taking control, looking towards the future and how I could make it all happen. Then I heard God’s voice, “this project wasn’t mine to begin with, but His.” I thought about that and I knew I needed to trust, and let it go so it could be completed in His way. I told Trish that I wasn’t attached to who the hats went to, and that I would continue to crochet and wait. A few weeks later Trish wrote and said,” I know where your hats are going!” She had just met a lady that is developing relationships with prostitutes there in her town. She is there showing them unconditional love and care. Side note: For those of you who don’t know, many girls in other countries are sold into sexual slavery. Many times, they have no alternative because they don’t have the education to get a job, or the means to get the education. Check out this link for an amazing organization that is helping these girls get out of slavery. Back to the story… the lady who works with these girls told Trish, that she wanted to put a care package together and the hats would be an incredible gift for them! We didn’t even have to worry about the logistics, it was all taken care of. This was several months ago. Yesterday I got an email from Trish with a picture attached. The picture was of several beautiful girls (oh they were so young it broke my heart) all cuddled together holding up peace signs with their hands. Guess what was on their heads, the crotched hats! I wish I could show you this precious picture, but for their protection, I am not able to. So what’s the moral of this crazy story? Give yourself permission to slow your mind, your life down so you can hear the very important things that God wants to do in your life. Listen, wait, follow His prompting, stay in the moment and let go of the outcome. Our lives are a much bigger picture than the boxes we keep around them. We can be used in ways we have never thought or dreamed of, if we will trust and realize that God is working not only in our lives but also globally, and it takes our lives to touch someone that we might not even know. What stories would you be willing to share that relates to waiting, following God’s promptings and being present in the moment? What challenges do you have with waiting, letting go, or hearing God’s voice?